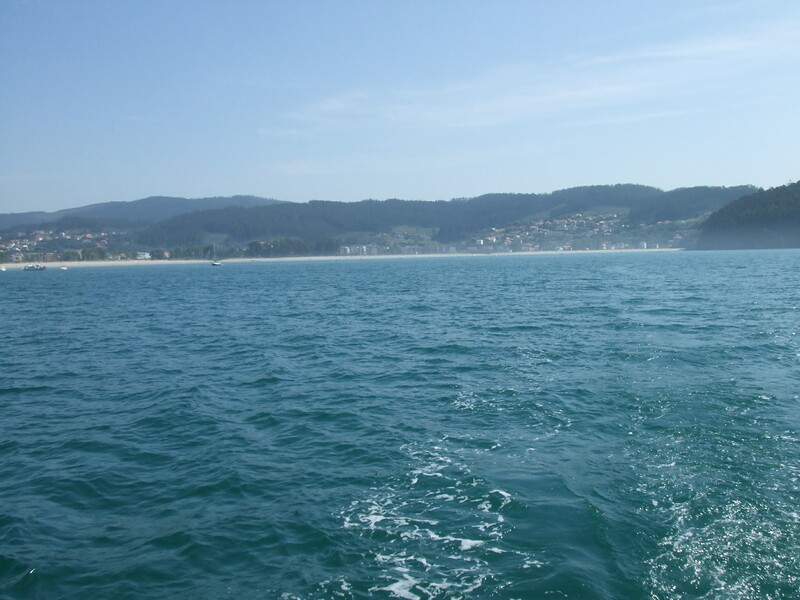 We had woken up reasonably early to go into Cedeira in the dinghy and have a swim on the beach. We had breakfast and I spent some time removing the rudder off the Hydrovane and cleaning off the growth that had materialized. We then took the dinghy over to the beach and attempted a swim but the water in these parts is still freezing cold so all I managed was a paddle up to my waist before heading back to the boat. We departed our lovely anchorage at 14:00 and headed out. The conditions were too calm to sail but every attempt was made sail but shortly I gave up and we motored for most of the day. The scenery on this coastline is still stunning but after a while I decided to go below and make use of the all the hot water we were generating by cleaning the galley and heads. 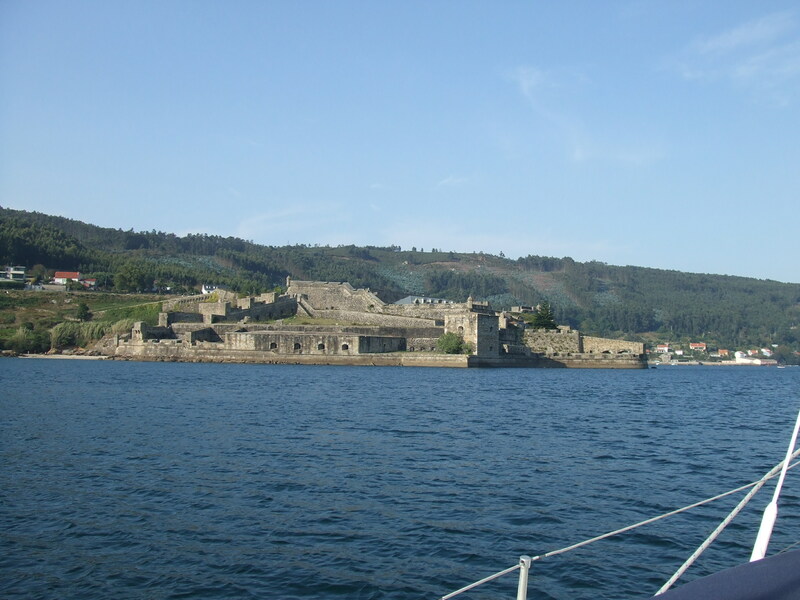 As we rounded a headline and the entrance to El Ferrol opened up before us the wind picked up so we managed to have a quick sail around the corner and into the entrance. We sailed all the way up the Ria. Although this is a busy port with a lot of industry at the entrance it soon becomes prettier with high mountains either side dwarfing old castles and battlements. It was a great way to enter under sail but it was a shame that the quietness was interrupted by several jet ski’s. 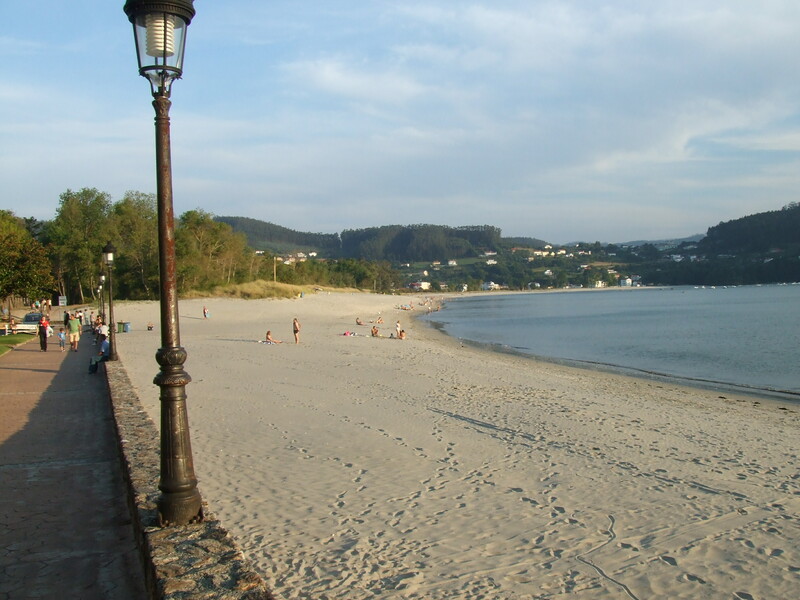 We were dubious of Ferrol as the almanac did not give us much of the detail we needed but as Carlotta’s uncle had arranged a space for us there we decided to go. This was a big mistake. We entered and were guided round to a wall, which was covered in debris. The marina is tidal and as I have not yet experienced mooring to a wall and knowing how much rope to let out for the tide, but we would work this out later. Carlotta went to talk to the two dodgy gentlemen about cost’s as they were reluctant to give a price. 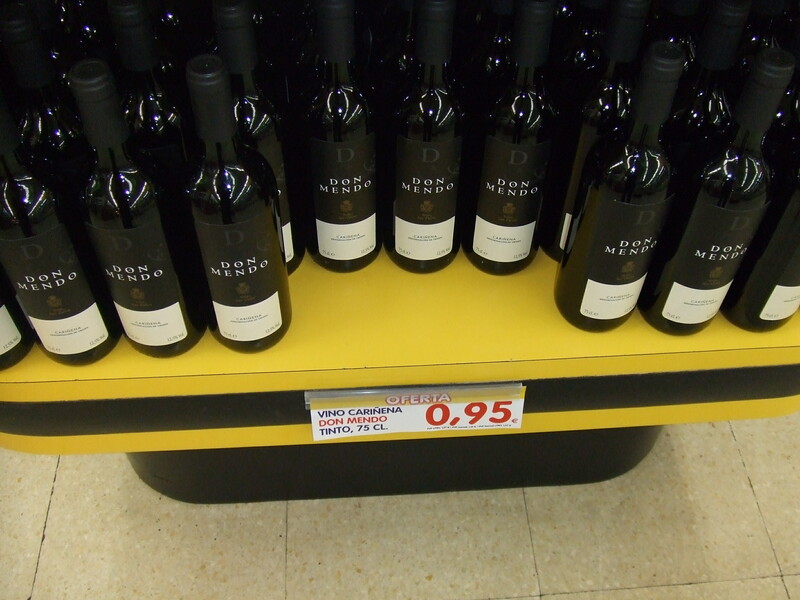 The price had gone from £120 euros a night with no facilities to buying one of the guys a beer instead. There were fishermen everywhere eyeing up our gear. 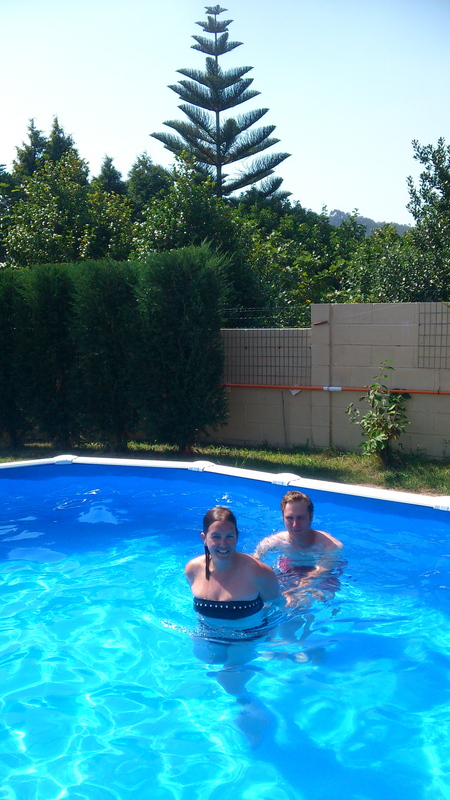 With much reluctance we went to Carlotta’s uncle’s house for dinner but then came back later for piece of mind. 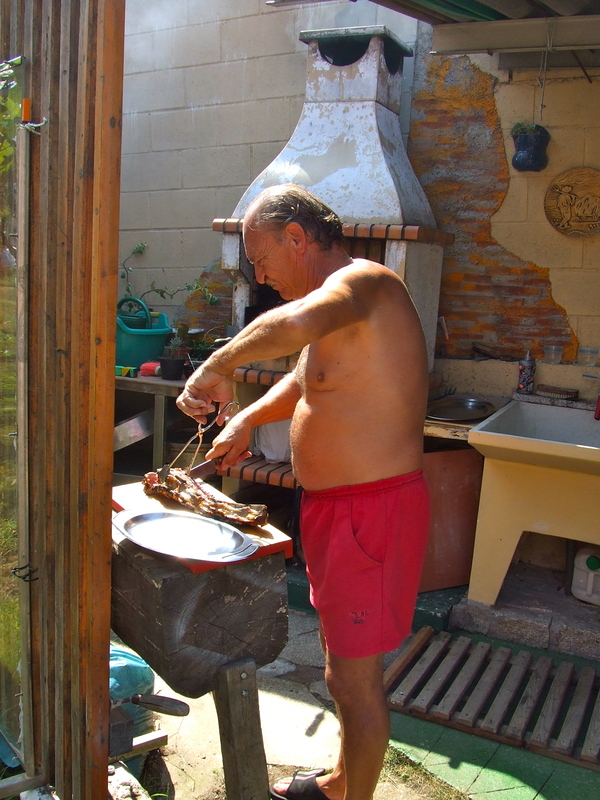 We decided to move to another Marina the next morning, which was to be Ares. This has to be the best marina we have been in so far, not so much for the facilities although these are okay but the service. 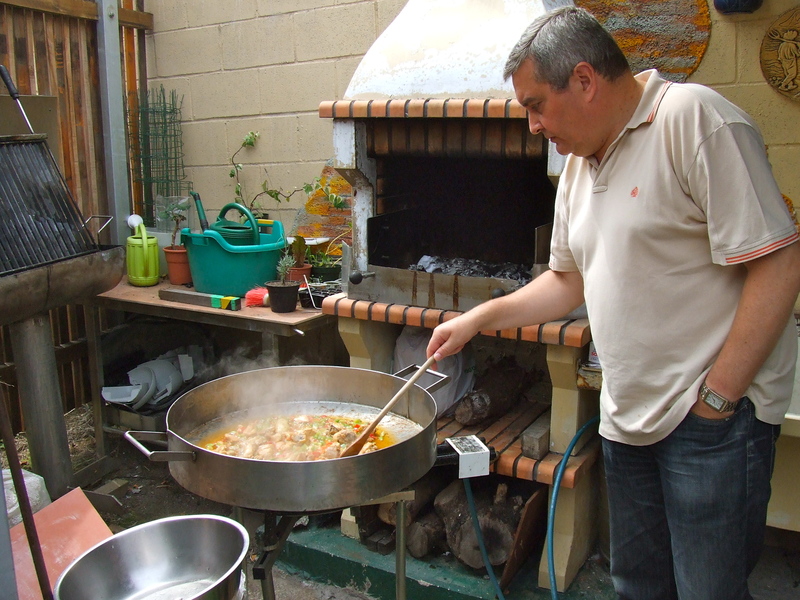 Marco and his colleague were most helpful throughout our visit and I cannot recommend this spot enough for the beauty of the town and tranquility of the harbor. 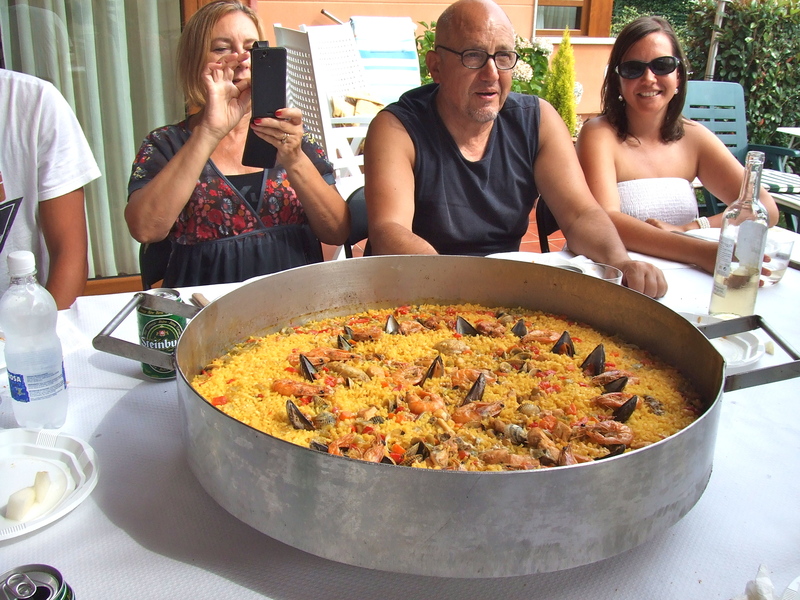 We went back to Carlotta’s uncle’s house and strayed over night meeting more of the family and spending a great time with wonderful people and fantastic Spanish food. I hate to say it but it was nice to be away from the boat for one weekend and truly relax. On Sunday night we arrived back to the boat and spent Monday getting supplies sorted. 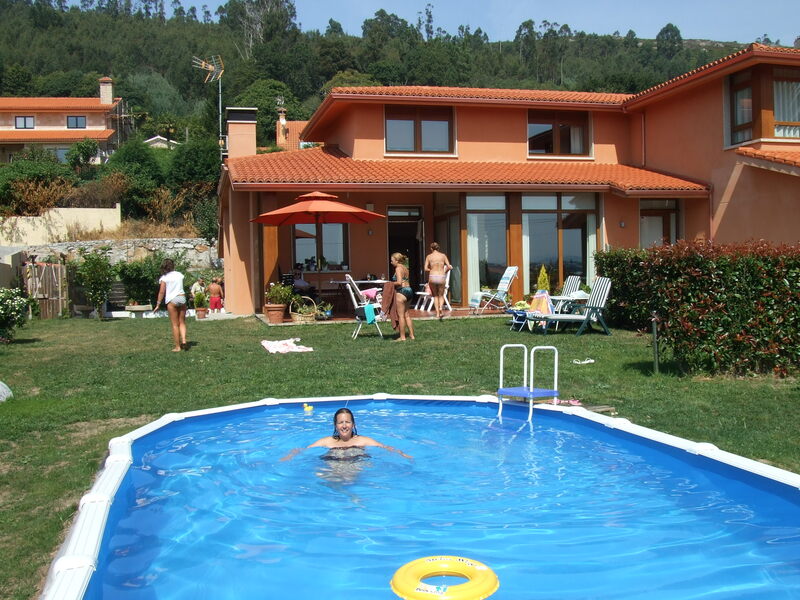 It is time to move on and we have arranged to meet some friends in Vigo by the weekend and to be in Portugal by the following week. 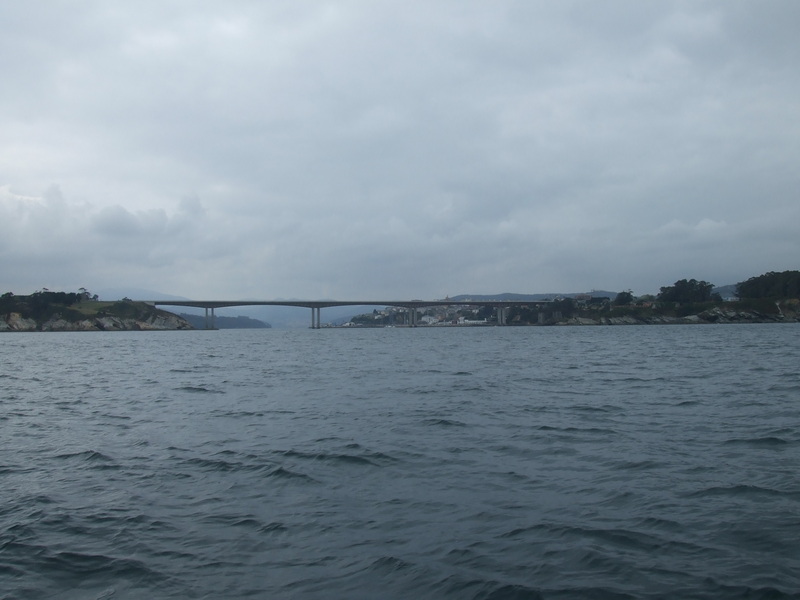 We departed Viveiro at 10:20 am, again slightly later than expected but we did get talking to another person anchored nearby who had just sailed from Falmouth to Viveiro. 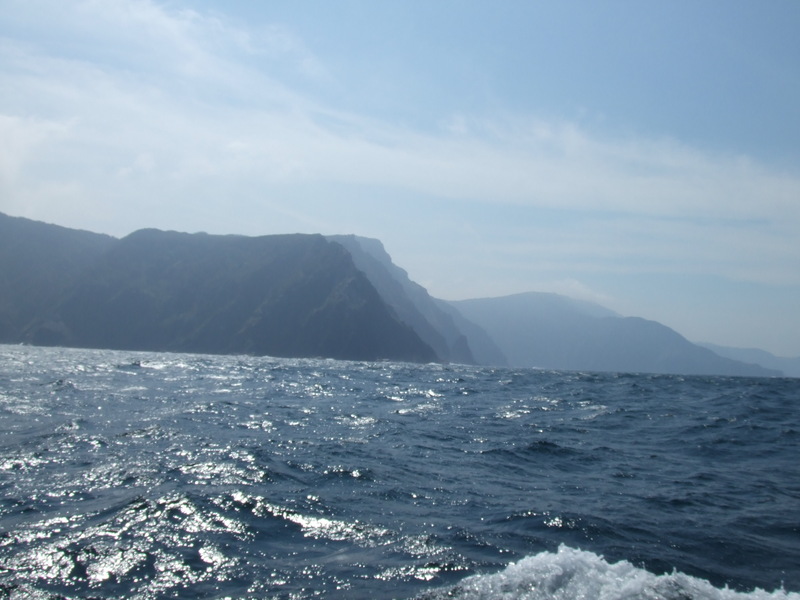 We started again with light winds, however the scenery has improved greeted with high mountains and islands to view on passage. We motored for the first hour whilst I cooked breakfast and then afterwards set up the Hydrovane and enjoyed a slow sail. The problem we are finding with these parts is the swell. If we do not have more than 10 knots the sails begin to flog in the swell. Again the winds were Easterly with a touch of Northerly in them. 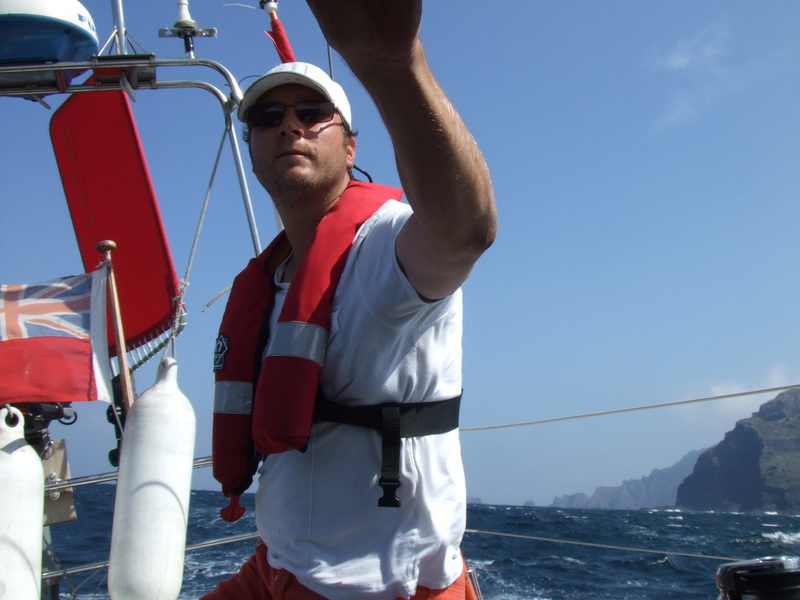 As we passed our first major headland the wind picked up to a good force 5 so we sailed fast around the corner. Luckily I had already put one reef in the main but we were still reaching 7.5 knots off the waves. Again the wind died and we decided to motor until the next headland. For some reason before we entered the headland I decided to take the reef out; this was not the best decision. 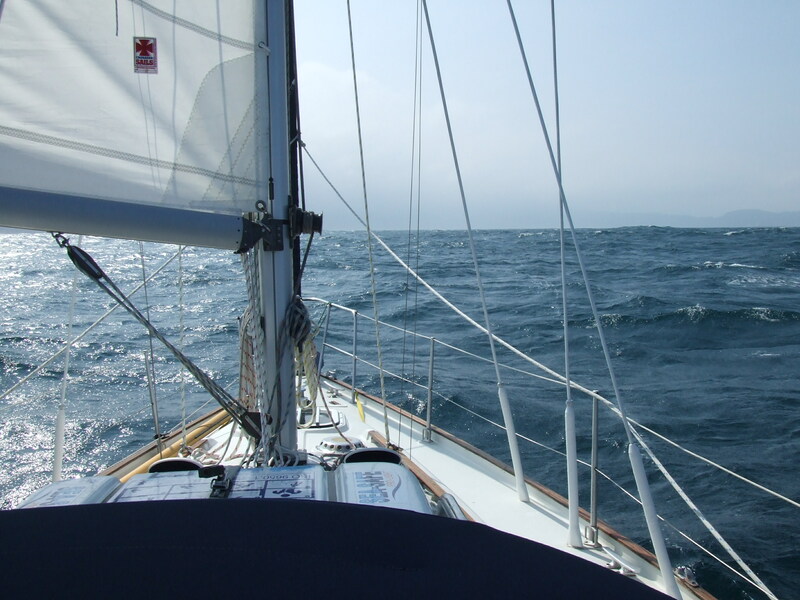 As we rounded we were experiencing gusts of 38 knots and sailing off waves at 10.5 knots. It was an excilerating sail but at some point Troskala tried to head to wind too much to comfort. We furled our Genoa and ran the rest of the was under main. Another mistake made was to tow the dinghy. It had not caused us too many problems during the first part of the journey except slow us down but the worst was still to come. 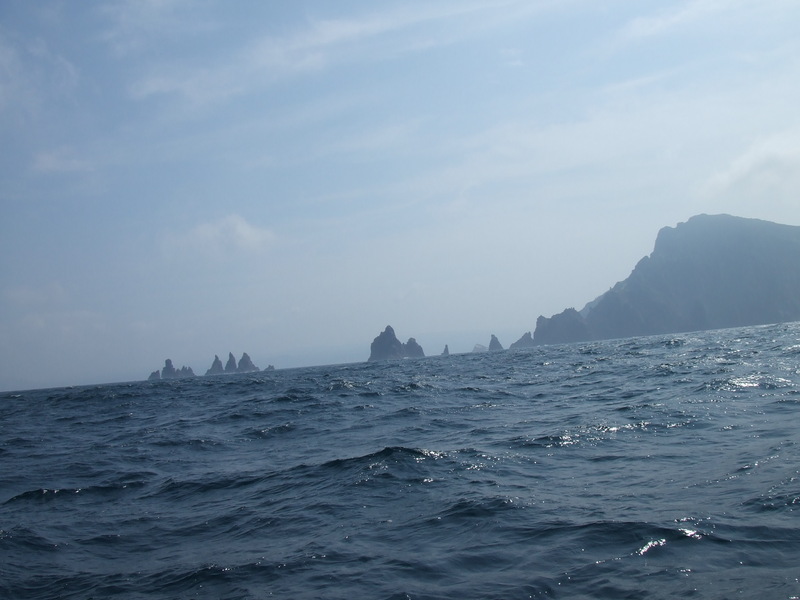 We had the wide entrance of Cedeira in view but again when entering the acceleration zone with high mountains to our starboard we were again experiencing winds up to 40 knots. 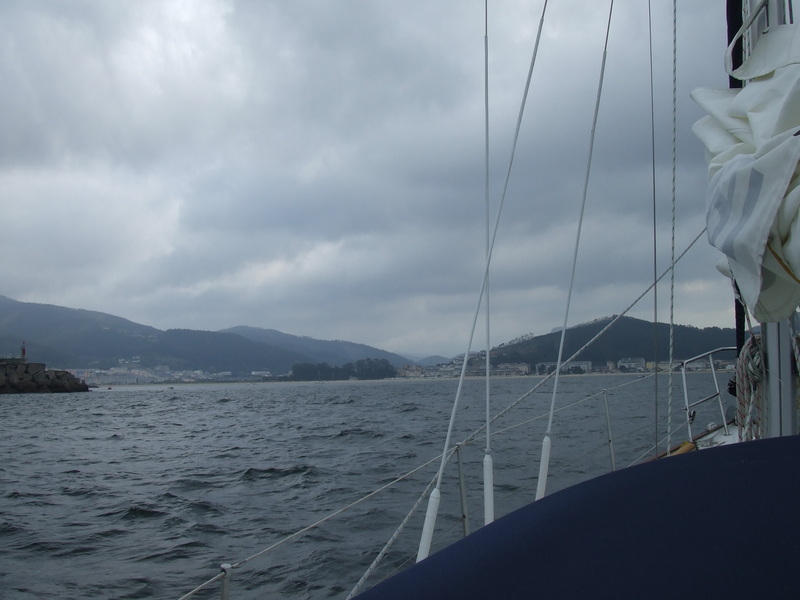 As we turned to enter the harbor the wind was howling. The dinghy decided to fly up in the air and invert itself with the loss of the engine padlock. This was not the worst of our problems as the dinghy was now being dragged underwater and slowing us down to the point of me loosing some steerage. There were two options and these were to either cut the tender free ur try and pull it up close to the boat to get the wind under the bow and turn it the correct way up. Thankfully the latter worked but it decided to do the same performance 4 more times before we reached our anchorage. Luckily it landed the correct way up for our entrance to the anchorage so as to save me some embarrassment. We anchored at 16:30 in a very picturesque setting. The wind here is still blowing hard but we held at anchor first time and will hopefully pop into town for a coffee when the wind dies down. 1. Do not tow a dinghy. I have learnt the pitfalls of this several times now but I will never ever tow a dinghy again from the back of the boat whilst underway. 2. Even if the wind dies down do not rush to take your reef out. I was aware that there would be acceleration zones and why I took the reef out after the first one I do not know. 3. Respect Headlands – The wind climbed by two forces around the headland espcially with it coming off the mountains around us. I maybe should have set a course further out to escape most of the funneled winds. 4. Dont leave a pan of curry on the surface, when you tack it will go on the floor. This is now the second meal we have lost in as many days. We departed our anchorage at 11:30, a bit later than expected but due to a sleepless night due to the rocking motion whilst at this anchorage we needed some extra hours sleep. 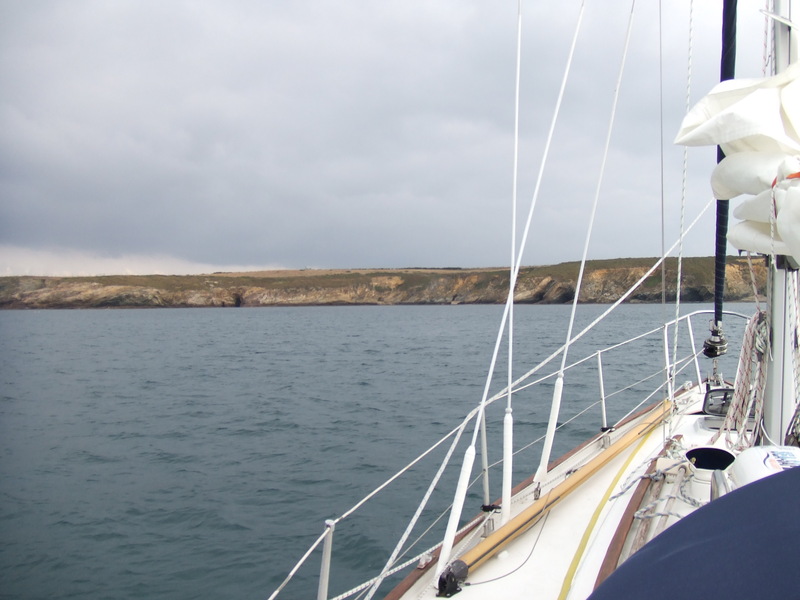 We sailed off our anchorage and out to sea with a good 10 knots North Easterly. We were doing a nice 6 knots on average but there was still a meter swell so really what we needed was the wind to pick up to stop the sails flapping when we went over a wave. The wind eventually picked up to force 5-6 and we enjoyed a good beam reach under the watchful keep of our Hydrovane which steered us for most of the jouney. 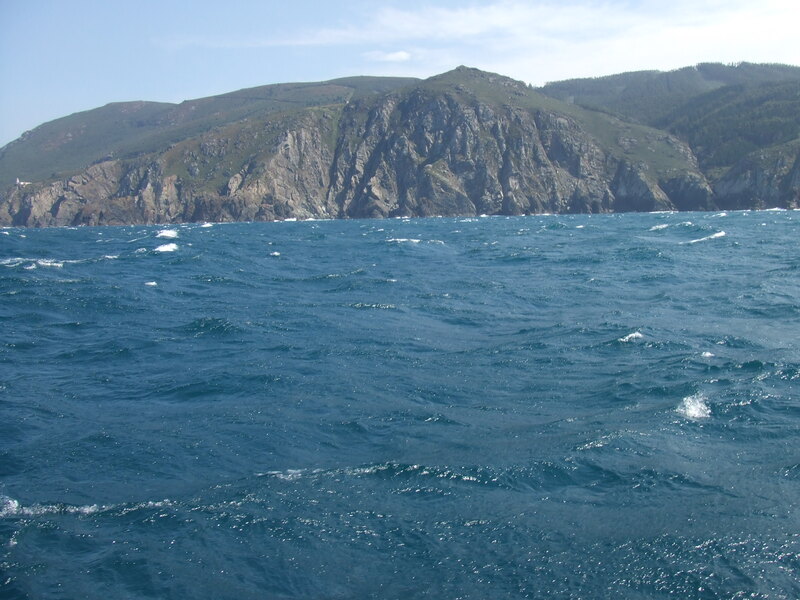 We were now achieving speeds of around 7 knots and surfing down what was now a 2-meter swell at 9.3 knots. 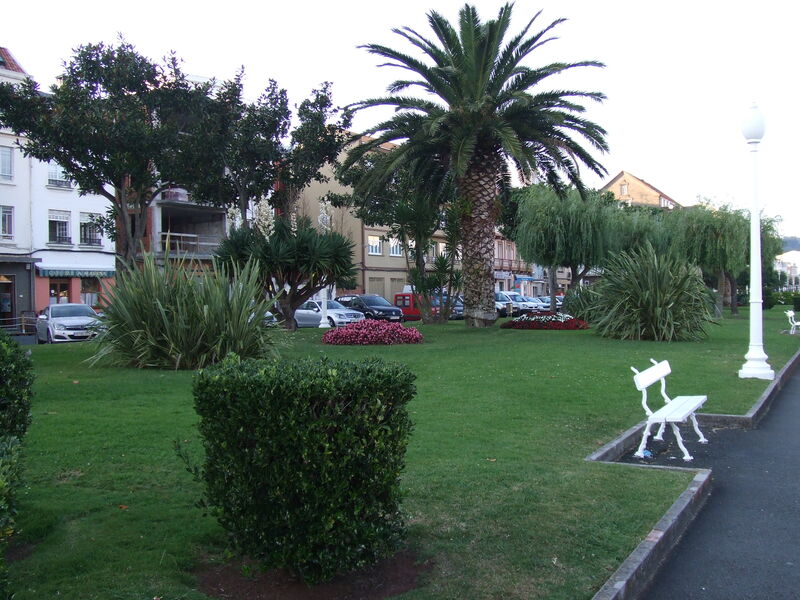 We rounded San Ciprian and Roncadoira where conditions were nore challenging and to add to it Carlotta was feeling sick. 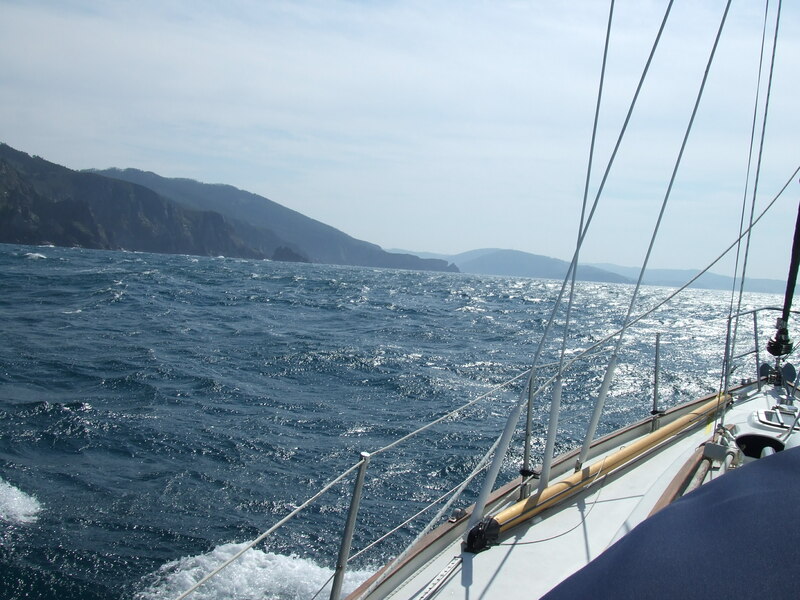 We reefed in our Genoa and ran under main sail only until we reached the entrance of Viverio. 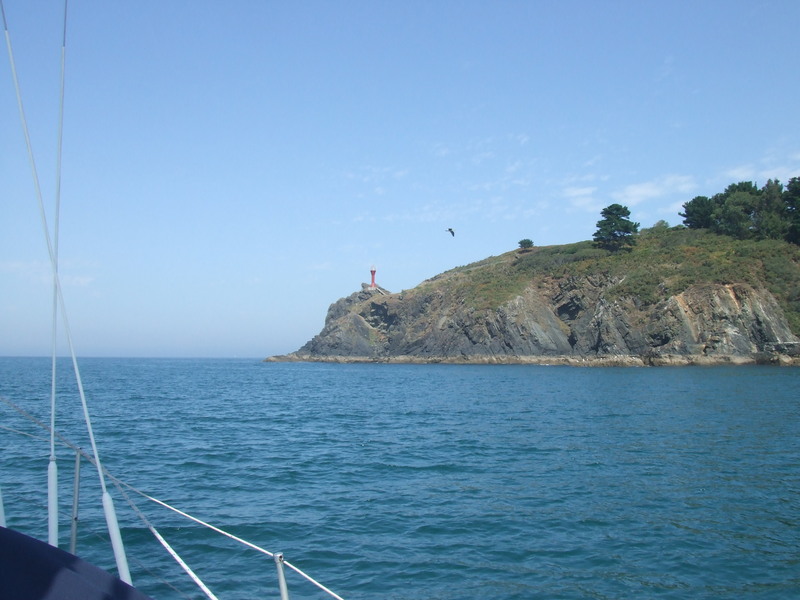 We found a great anchorage just of Playa de Covas. 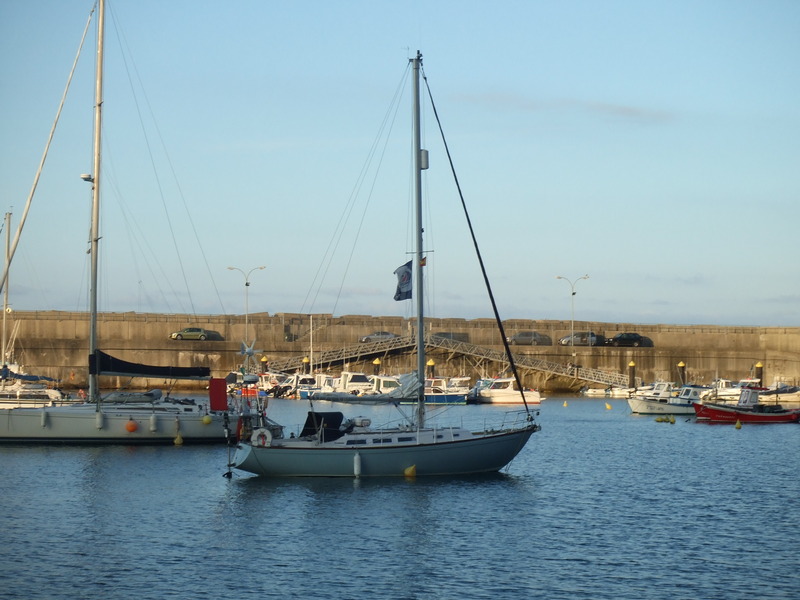 Once settled in we launched the dinghy and headed into town. 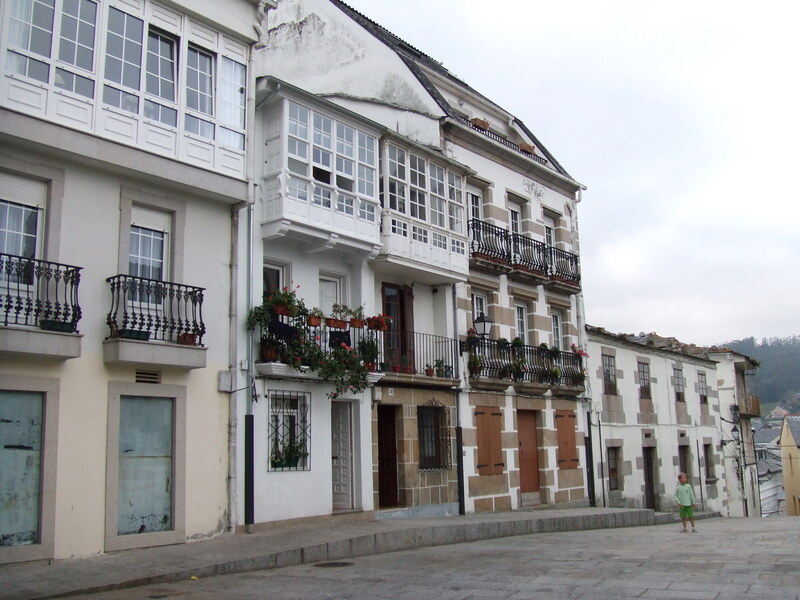 I did not think much of Viveiro; the town was more commercial than Oviedo and certainly not as pretty although the small old town has some charm, with different styled buildings and old churches. 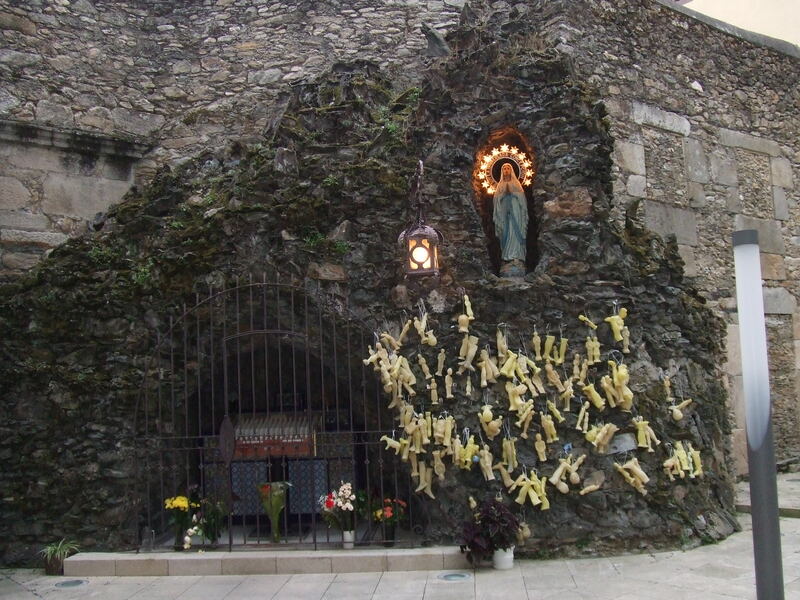 One interesting part was seeing an area dedicated to the Virgin Mary with wax arms and legs of people cast and hung around the shine with photos of people besides them. The belief is that the Virgin Mary will pray / bless those people whatever the ailment may be. 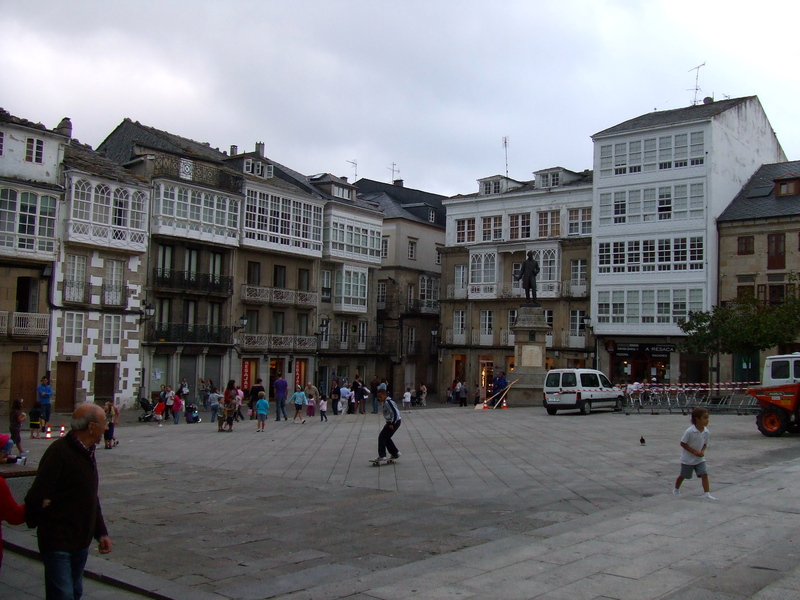 The Galician’s are strong believers of spirits and the dead, which was evident in the old town. We headed back after stocking up on food and some chicken to go with a curry. We departed at 11:15 edging out of a narrow rocky channel. Winds were light with 3 to 4 knots. 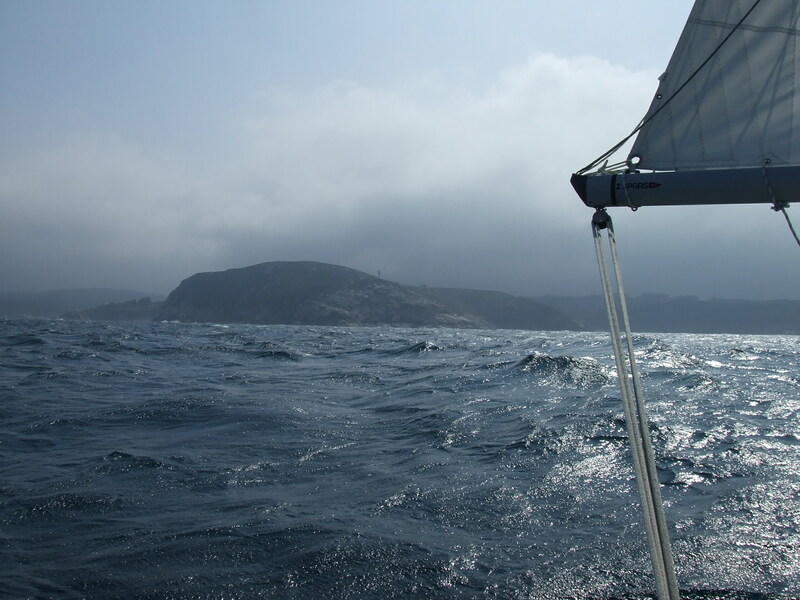 I headed out in hope to catch more wind but wind did not materialize even 6 cables off land. 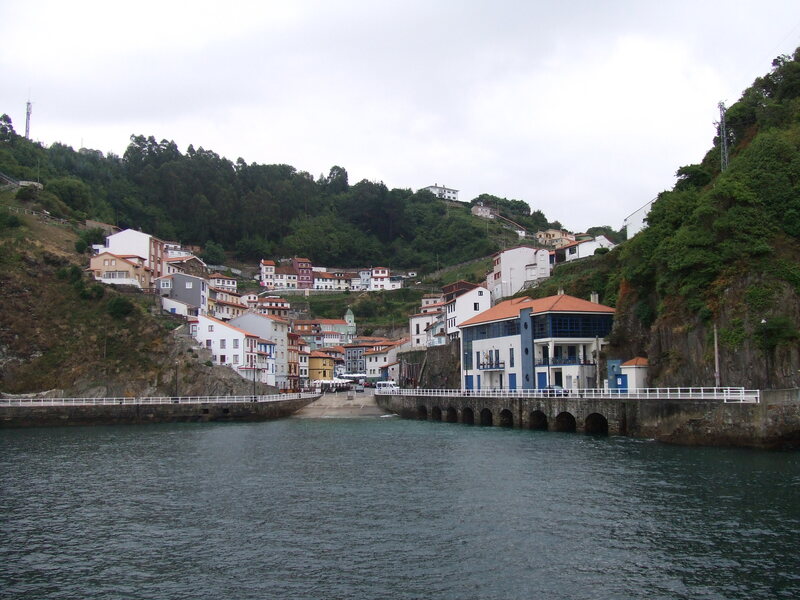 So it would appear to be a motoring day and the plan of reaching Ribadeo banished We would instead head to Luarca, which was the original plan and was only 17 miles away instead of the 35 we would have to cover to make Ribadeo. We motored for two hours achieving little over 4.5 knots but as forecast the wind picked up to 7 knots and it was time to practive polling out our genoa and running before the wind. I sit here now at 13:25 and we have covered 10 miles since leaving. 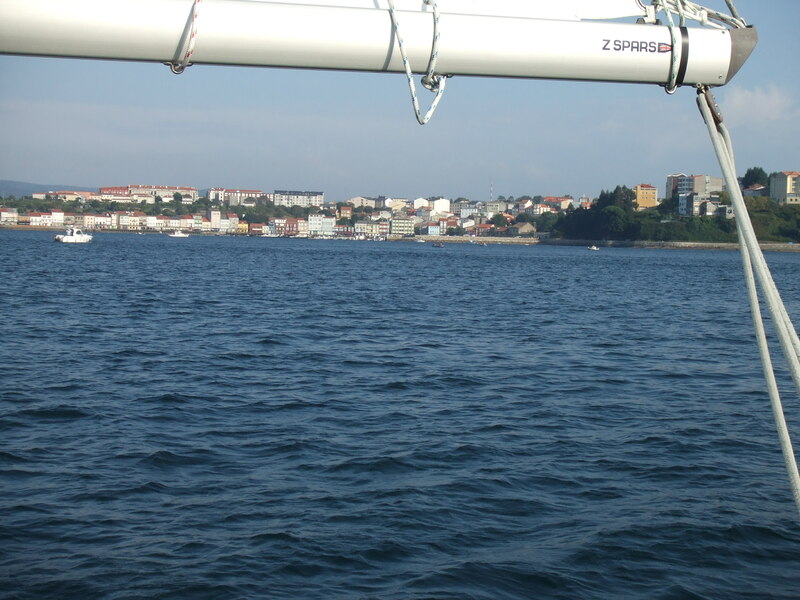 We are currently doing 4.5 knots and expect to reach Luarca at 15:30. The wind picked up as we were drawinbg into Luarca so seeing an opportunityy we decided to make the most of the breeze and head straight to Ribadeo. 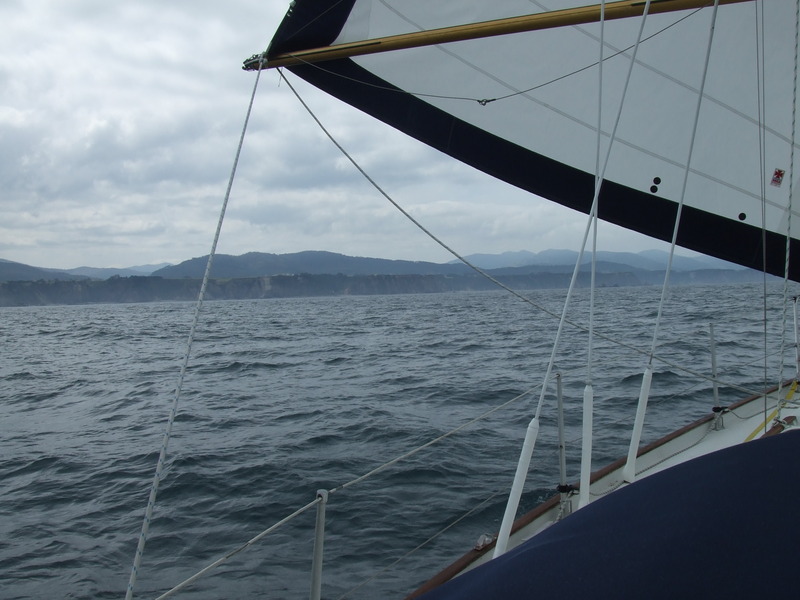 We had a fantastic broad reach admiring the Spanish coast as we went. As we drew nearer the wind picked up to a good force 5. Carlotta cooked pizza but managed to loose one on the kitchen floor. 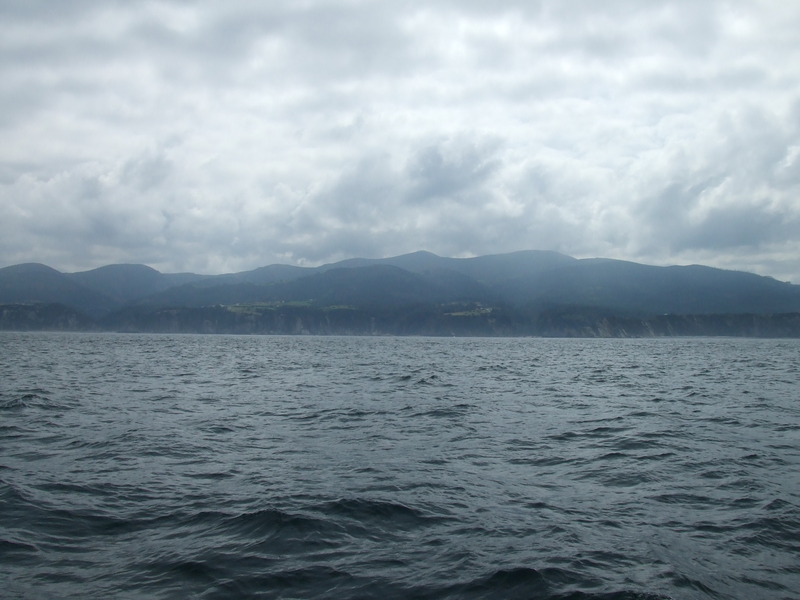 We finally arrived at our anchorage in Ribadeo at 20:20 but it was not as sheltered as I anticipated so we were subject to a rolling night. We departed at 10.45 after re-fueling. 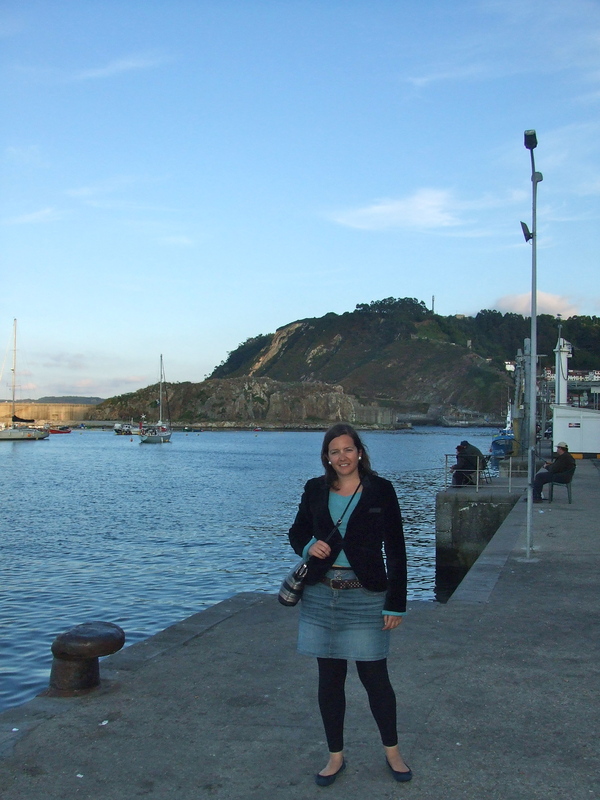 We tried to leave slightly earlier as Carlotta had managed to befriend a crazy Spanish lady who begged to sail with us to Cudillero; she even offered to pay but after three visits and a small gift we realised her mind was not all there. 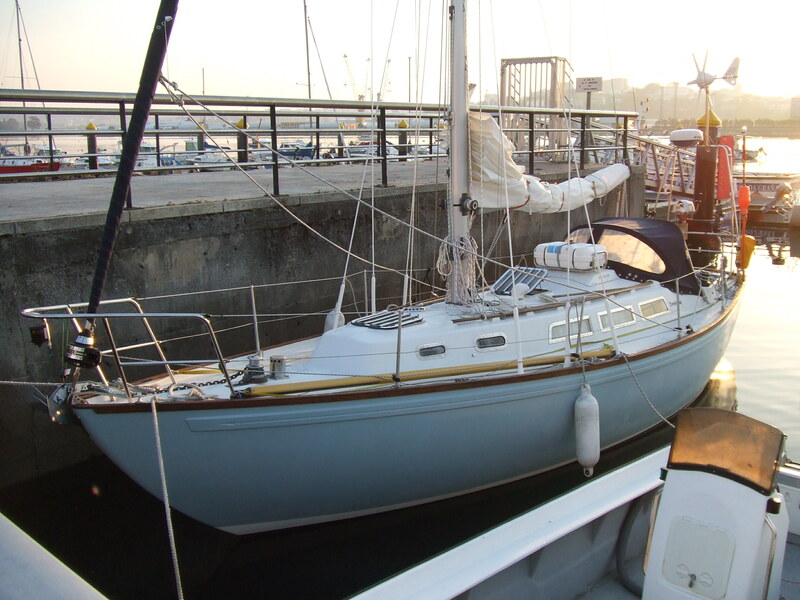 She had waited for us to leave the marina on the evening and then offered to come and see us off in the morning so the decision was made to escape an hour earlier before she arrived. She reminded me of the Bunny Boiler from Fatal Attraction so we were both relived to have departed without her in tow. We left in winds coming from the North East, blowing 4-5 knots. We headed further out until we picked up a breeze of 5 knots so we stopped the engine and set up Henrick (Hydrovane) and had a perfect sail. 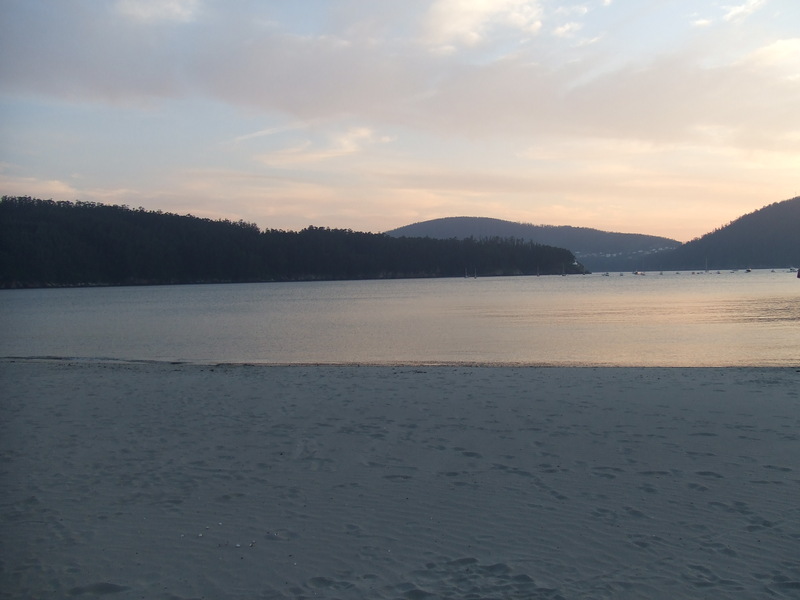 It really does make a difference to have no tide and to be able to leave when you want. 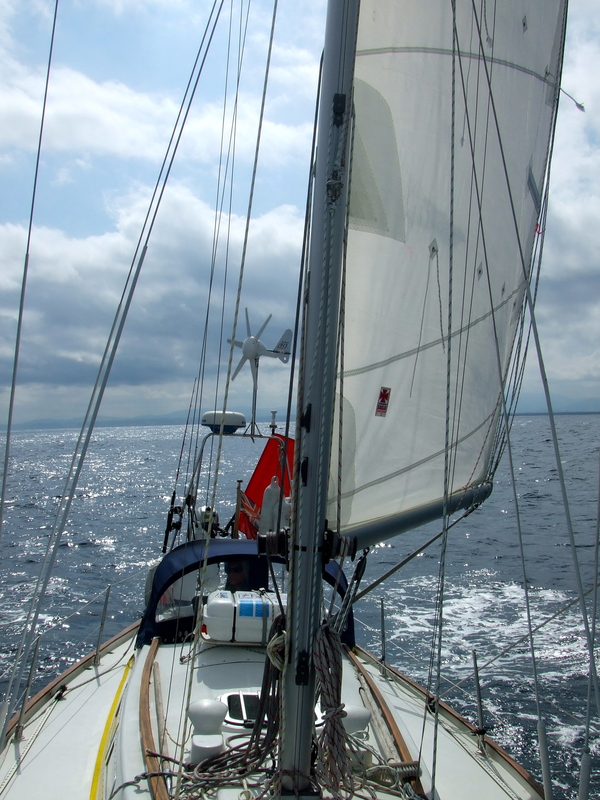 We were sailing at 6 knots with a knot of current pushing us westwards with the breeze. The coastline was spectacular along the way and it is a shame we have no more time to enjoy this part of the world. 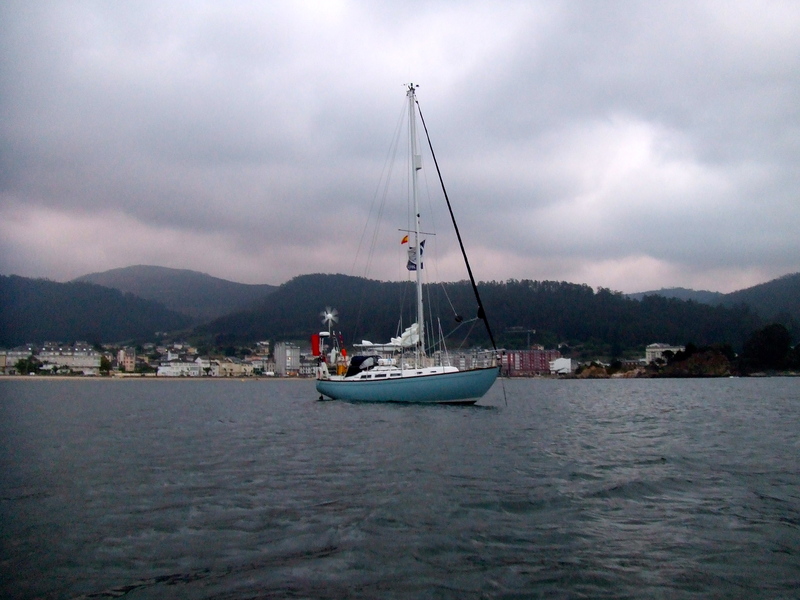 At around 14:30 conditions had already calmed to around 7 to 8 knots of wind so we started to head South South West to pick up our bearing to Cudillero. We removed Genoa and set sail for down wind with preventer hooked up and Carlotta helming although the ideal situation would have been to pole out our Genoa; one step at a time. We arrived at 16:45 and were kindly led in by Fishermen as the entrance is very narrow and strewn with rocks and a heavy swell. We managed to royally mess up our mooring and were watched with interest from a crowd of spectators. The reason why there were no other foreign visitors was quite clear as the mooring system is shocking but as it was free I cannot complain although I hope we do not come across a similar system on the way down. The Harbopur Master came to help in the end which made me even more frustrated, but still we were safe and in the harbor. 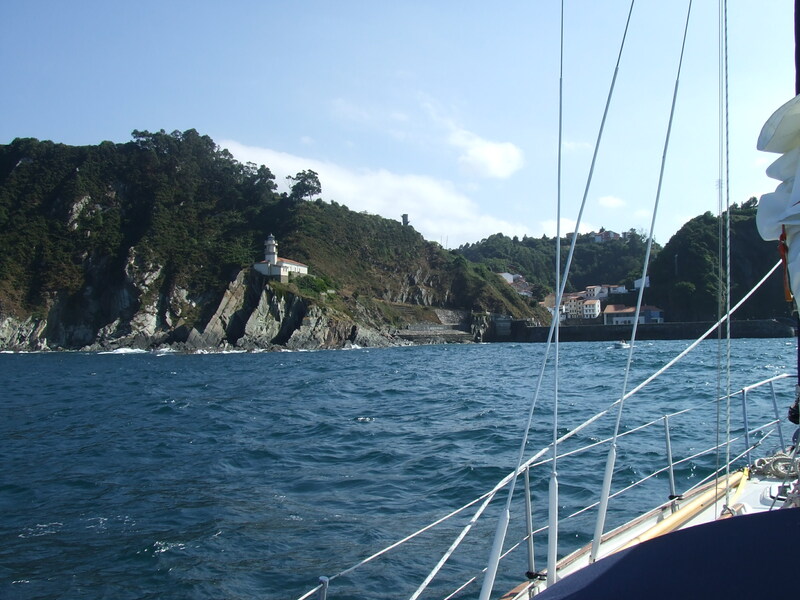 Once we had arrived in Cudillero there was time to relax, sort out the mooring lines and have a Siesta. 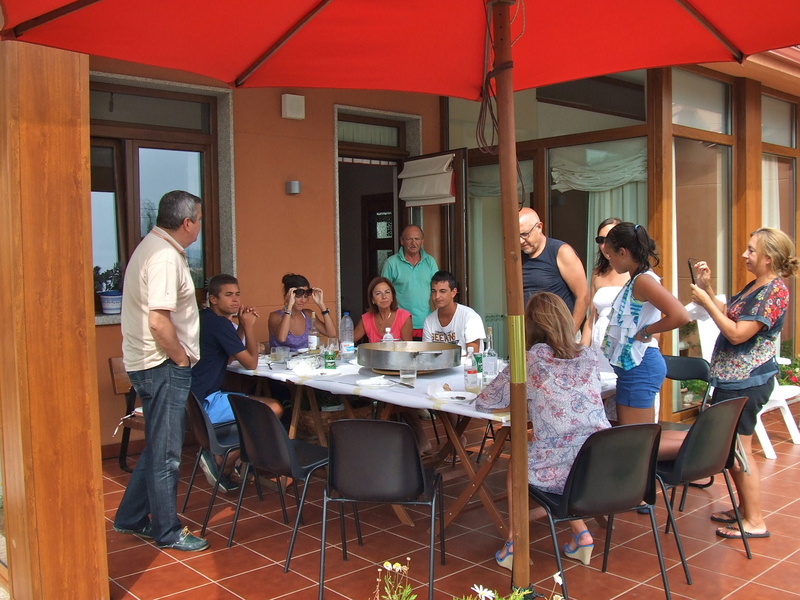 We were loaned a dinghy from the Harbor Master, he, Manalito, being a distant friend of Carlotta’s family. We went into town in search of the supermarket, which was to be found up a long dark tunnel and up a hill similar to Everest. We eventually found it and did our weekly shop as we now expect to be anchored for the week until we arrive in Ferro. 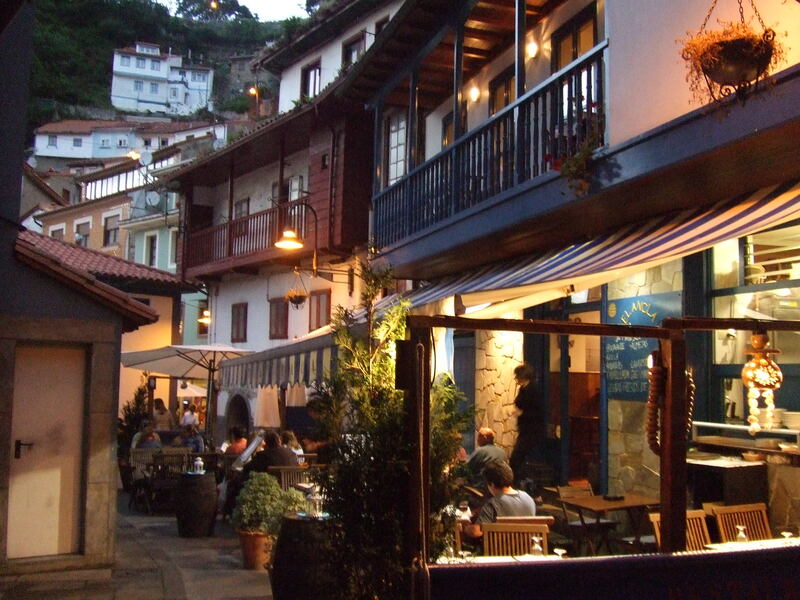 To celebrate the completion of our shopping we went for a coffee savoring the atmosphere of this gorgeous place. 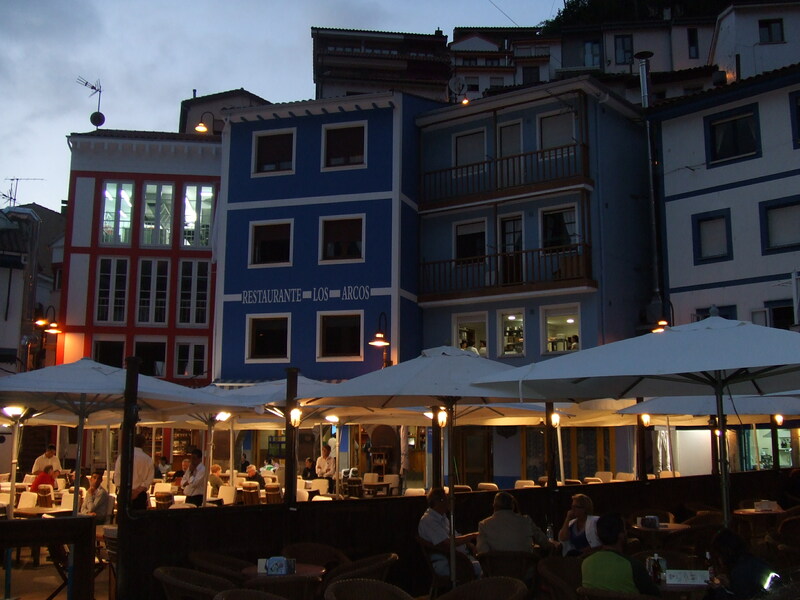 It is a shame we need to leave tomorrow as staying another day would have been perfect, but due to other commitments we need to depart and depending on wind we will try and head straight for Ribadeo instead of Luarca. 1. Be careful whom you speak to in marinas. 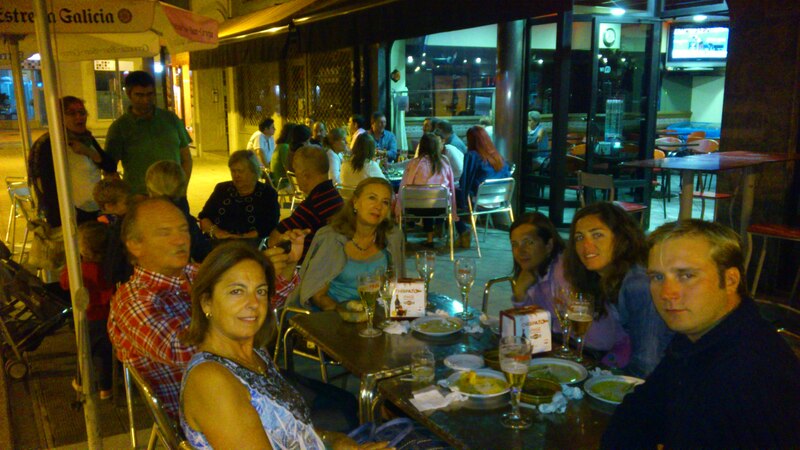 There are a lot of crazy people out there and if you meet one in Gijon and her name is Marina then run like the wind. 2. Try not to get frustrated when you arrive at a new port, cannot figure out the 17th century mooring system, have a crowd of spectators, the harbor master is shouting at you and you manage to scuff most of your antifoul off with the ropes from the mooring. 3. Don’t shout out girlfriend…….